4-patch quilt for you to make. April has created a fun 4-patch block in a summery combination of prints, which when rotated makes a beautiful mosaic design. Edyta has used her signature scrappy style to create an elegant 4-patch design on point, floating in strips of a feature fabric. Lissa has created an alternate 9-patch block using 4-patch units. 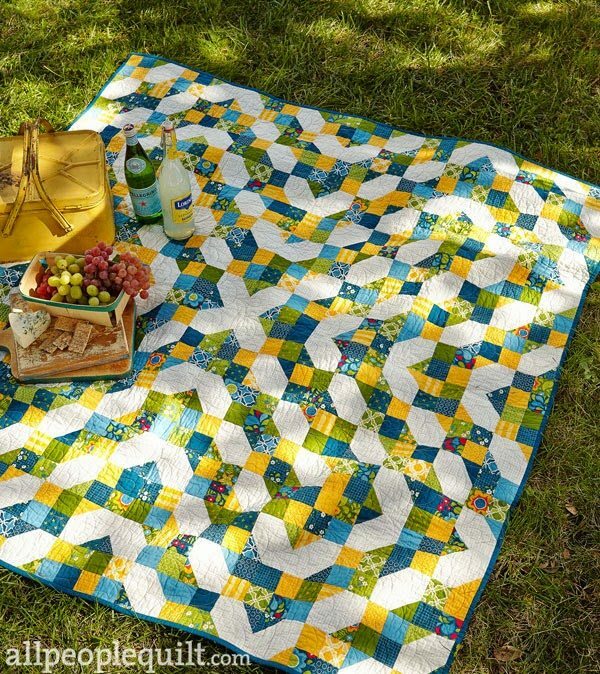 Floating on a soft background, the rainbow scrap blocks on point, make a dreamy quilt. Grab your copy of APQ Issue #133 available 3rd February. 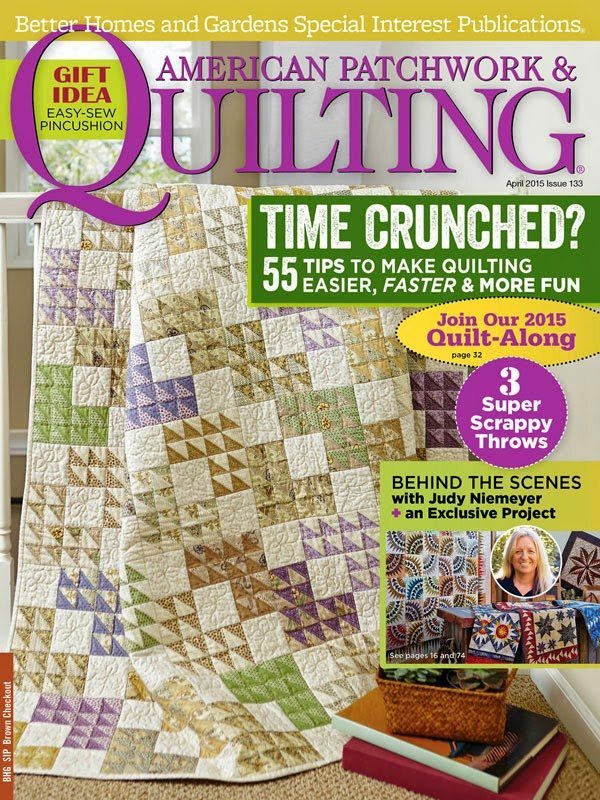 It has full instructions for the three quilts. We will posting pictures of our progress between 3 Feb – 6 April 2015. I couldn’t choose between the three designs because I love them all, so I have designed a quilt based on all the blocks. I will reveal snippets along the way. 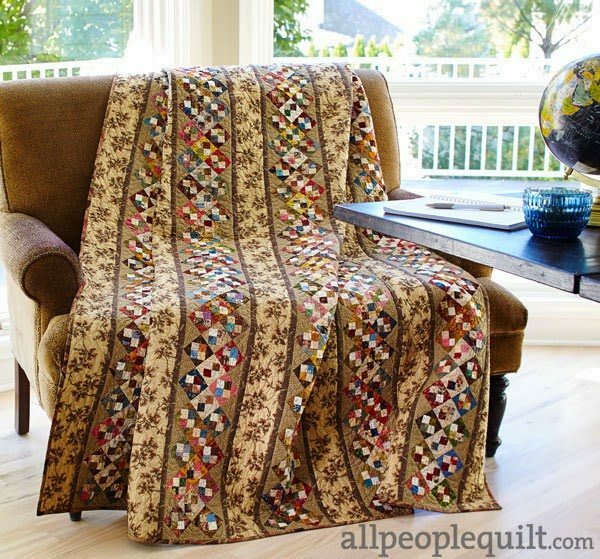 Post your progress on social media using the #APQquiltalong and upload your pins to Lissa’s APQQuiltalong pinterest page http://www.pinterest.com/modalissa/apqquiltalong/. Oh I can't decide on which one I like best either!! and I am sure with all the other talent joining in it will be even harder!